You might remember how much I enjoyed Clean by Alex Hughes, a gritty urban fantasy narrated by a telepath hero, so I am happy to introduce you to another book featuring telepaths: The Shattered Door by Lisa Bouchard! Please give Lisa a warm welcome, read on to discover why she chose to feature this super power in her novel and you could even win a copy of The Shattered Door! What’s a telepath to do? I’ve always had a great fascination with speculative fiction, particularly science fiction and fantasy. Anything that doesn’t really happen – alien invasion, telepathy, alternate history, steampunk – I love it all. I chose to write about telepaths in my first series because the idea of being unable to defend yourself or your thoughts can upset even the most calm and level-headed people. Just look at how people react when their email gets hacked to see how upset the invasion of privacy makes us. And when you add in the idea of every thought you ever had being available to the public, there’s an outcry. Thoughts – cruel, sad or inappropriate – flit through our minds all the time. We would never share them and we certainly don’t pay any serious attention to them. But a telepath can see everything, and in my world, a telepath can’t tell the difference between the thoughts we take heed of and those we discard. Your worst fleeting thought has the same weight as your most selfless, noble one. And that’s just the personal. Everything you know can be plucked from your mind – work secrets, bank account information, security codes – nothing is safe. It’s a scary world out there with telepaths. Writing characters with great powers can be tricky. Something or someone has to keep them from taking over the world. I chose a combination of honor and fear. The telepaths of Boston are lucky enough to be led by a man of integrity who has set the standard high. As a rule, Boston telepaths don’t read other people and if they do, they don’t use the information they see. Our leader has realized that to look into other people’s minds is a recipe for disaster because he thinks the ugly vastly outweighs the beautiful in our minds. The other reason telepaths don’t use their powers is fear of the Telepathic Corps. Members of the corps are called sniffers. They’re a rare form of telepath that can tell when a telepath is reading someone. Once the sniffers catch a telepath, the telepath disappears. No one knows what really happens to them (sounds like a great topic for book 6 or so, doesn’t it?) Now we have our big bad guy(s), looming in the background of this world. What are two young women with a strong moral compass to do in this world? Help other people, try to blend in with the normals and try not to use (or at least get caught using) their telepathic abilities. 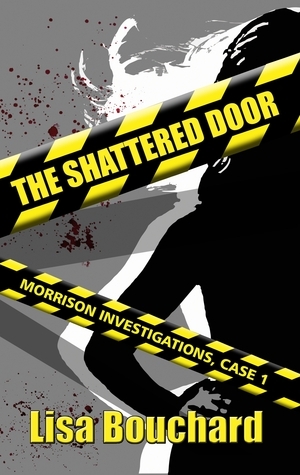 Read how they accomplish this in The Shattered Door, the first of the Morrison Investigations series. In the United States, telepaths are hunted by the Telepathic Corps, a small, mobile army who can sense when telepaths use their powers. No one knows what happens to captured telepaths, but rumors of secret medical experiments and death squads fly through the telepathic underground. When famous telepath George Wynton is found at the scene of his lover’s murder, novice private investigators Olivia and Darcy Morison are hired to find the real killer. Trained to keep their abilities secret, they have become experts at passing as normal. As the sisters struggle to balance their time between helping Wynton and the mind-numbing jobs their boss assigns them, dangerous elements continue to swirl around them. The Twenty, a high-powered, secret group, is working to keep Wynton behind bars while members of Boston’s telepathic underground are threatening to rise up and break him out of jail. And the Corps has arrived in the city, rounding up telepaths with a vengeance. Now Olivia and Darcy must find the killer, keep their secret hidden and work with the telepathic underground all while avoiding their boss, not to mention finding a gangster's dog. It all started when she learned to read at five. One of her first and favorite memories is of words taped to all the objects in the house. Not long after that, books became the best thing ever and there was no turning back. She suffered a crisis of confidence in High School and College and decided writing was too difficult, so she earned a degree in Chemistry instead. 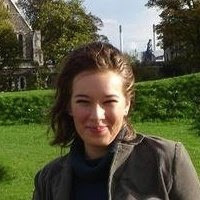 Three career changes and four children later, she’s back to writing and much happier for it. Now she works from her home office in New Hampshire amid the books, kids, and occasional pets. Lisa has generously offered an ebook copy of The Shattered Door to a lucky commenter! Just leave a comment answering Lisa's question: What would you do as a telepath? Tell us one way you would use your powers for good and one way you would use them for not-so-good. Giveaway is open worldwide and ends on 12 October 2012!